Hello Friends, Punjab National Bank has published notification for appointing candidates on 325 SM, Manager, & Officer Vacancies. Interested candidates must register for Punjab National Bank Recruitment 2019 through online mode. The Online Registration process for is going to begin from 14 February 2019. Participants must fill up their application form before the closing date that is 02 March 2019. Applicants who have Graduation in Law may apply for PNB Vacancy 2019 form links given here. Aspirants who are appearing for Manager examination may not be less than 25 years and not more than 35 years. For furthermore details candidates may refer to the below article. Fresh Update as on 13.02.2019: Hello Friends, Online Registration for Punjab National Bank is going to strated from 14.02.2019. The Registration process take place till last date 02.03.2019. Interested candidates may apply online for Punjab Nationa Bank Recruitment 2019. Collect Here details regarding eligibility criteria fpr PNB Vacancy 2019. Fresh Update as on 11.02.2019: The Punjab National Bank has postponed online registration dates for 325 Posts. The Registration process will be stopped by the bank till further notice. 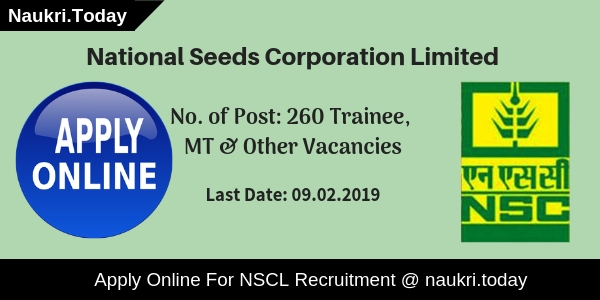 Candidates should stay connected with us for more information about Punjab National Bank Recruitment 2019. What Is The Last Date For Punjab National Bank Vacancy Online Registration? What Is The Selection Criteria For Punjab National Bank Jobs 2019? What Is The Amount of An Application Fee For PNB Manager Bharti 2019? Am I Eligible for Punjab National Bank Recruitment 2017 | Required Education Qualification for PNB Bank Vacancy ? How to Apply for Punjab National Bank Recruitment 2017 | PNB Manager Jobs ? CA/ ICWA/ MBA or PGDM along with specialization in Finance or its equivalent post-graduation degree/ diploma from any AICTE approved institute. 5 years of a Posts Qualification experience in Bank / PSU/ Corporate High Value Credit U NBFC. Must have CA/ICWA/ MBA or PGDM Along with Specialization in Finance or Its equivalent Post Graduation Degree / Diploma form any AICTE approved University for Punjab National Bank Vacancy 2019. Minimum 3 years of post qualification experience in Bank/PSU/ Corporate High –Value Credit U NBFC. Applicants must have Graduation with Degree in Law or Law Graduate who has passed 5 years of integrated Course form university recognized by Indian government. 5 years of experience as a practicing Advocate and as law officer in the legal department of Scheduled Commercial Bank/ State or Central Gov./ PSU. 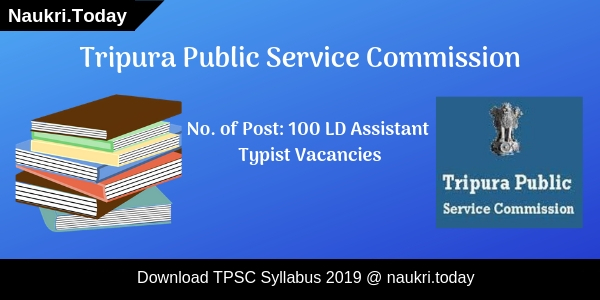 government for Punjab National Bank Jobs 2019. Candidates may required two years of Post Graduation Degree / Diploma in Personnel Management Industrial Relations/ HR/ HRD/ HRM/ Labour Law. Full time course in MCA/ B.E./ B.Tech Degree in Electronics and Communication/ Computer Science/ Computer Science & Engineering/ Computer Science & Technology/ Information Technology from a University/ Institute recognized by the Govt. Of India or its Regulatory Bodies. Selection of Candidates should take place on the basis of Online Test and Interview for PNB Manager Jobs 2019. Candidates who perform well in Test will participate in Interview. The Department does not mention any details regarding an application fee for Punjab National Bank Recruitment 2019. Candidates should log on to the official website of Punjab National Bank i.e. pnbindia.in. Eligible candidates may apply online for Punjab National Bank Jobs 2019. Candidates must recheck your registration form before submitting it. 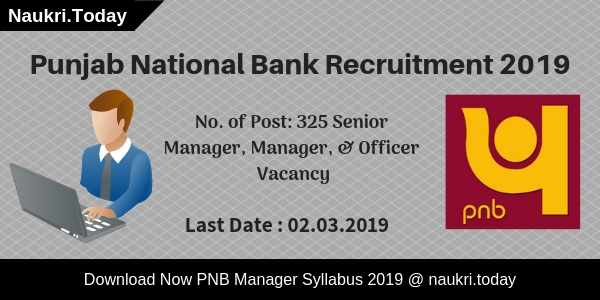 Conclusion: Punjab National Bank has released notification of 325 Senior Manager, Manager, & Officer Vacancies Interested and eligible applicants may collect qualification, age and pay scale details for Punjab National Bank Recruitment 2019. Dear Applicant, Those applicant who are waiting for PNB bank jobs here is a good news for them. Punjab National Bank has released notification for 45 Manager Vacancy. Interested candidate can apply application for Punjab National Bank Recruitment 2017 from here. Applicants can download application form till 01.05.2017 & send hard copy of application for PNB Manager Jobs on or before the last date 06.05.2017. About Bank : Punjab National Bank is Popularly Known as PNB. Punjab National Bank is a India Multinational Banking company. PNB bank was founded in year 1894. Selection of applicant for Manager post will be totally based on Interview. Opening Date for filling application form is 15.04.2017. Candidate can check Education qualification, age limit and Selection Process for PNB Recruitment 2017 from the given section below. Education Qualification for PNB Bank Recruitment 2017 : Candidate willing to apply for PNB 45 Manager Vacancy should have done Bachelor’s degree from any University recognized by Govt. of India. Applicant can check experience required for manager (Security) Post From Official PNB Bank Notification which is given below. Age Limit For PNB Bank Recruitment | Age criteria for Punjab National Bank Manager Vacancy : Candidate minimum age required for Punjab National Bank Jobs should be 21 Years and maximum age is 35 Years as on 01.01.2017. The age including all relaxations of age must not exceed 40 years. Upper Age relaxation for PNB Vacancy 2017 given in table below. 4. Ex – Servicemen 03 years plus period of service in armed forces. Pay Scale for PNB Manager Vacancy | Punjab National Bank Jobs : Selected cabndidates will paid pay band for Punjab National Bank Recruitment 2017 as per Department Norms. Applicant will paid Rs.31705/- to 45950/- for Manager Post. Application fee for Punjab National Bank Recruitment 2017 : Before Applying for Manager Jobs at PNB Candidate should check eligibility criteria, education qualification for Punjab National Bank Vacancy from above. Applicant belonging to SC/ST Categories need to pay only Rs. 50/- & for all Other category Candidate application fee should be Rs. 300/- for PNB Recruitment 2017. Procedure of Depositing Application Fee for PNB Bank Vacancy 2017 : The application fee has to be paid in cash at any branch of PNB Bank. Firstly candidate must download the Cash voucher from website www.pnbindia.in. Fill this voucher and Submit application fee charges on or before 01.05.2017. After payment, the candidate must obtain his copy of the cash voucher from the cashier. More details about fee Payment can be check from below link. Selection Procedure for Punjab National Bank Jobs | Selection Process for PNB Manager Vacancy : Selection of candidate for manager Jobs will based on Interview. If Applicant full fill the eligibility criteria for PNB Vacancy then eligible candidate will call for an Interview. Only Shortlisted candidate will be called for an interview. Applicant firstly check eligibility criteria like Education qualification, age limit and Selection Process from above. If you are eligible for PNB Manager Vacancy then candidate can fill application form . candidate follow step given below to fill Application form. Firstly Log on to the official website www.pnbindia.in. Then click on recruitment Section Link. Open the Official Notification “”. Read all the details of notification carefully and eligibility details. If you are eligible then download application form for PNB Bank Manager vacancy . Fill all the details carefully in PNB application form. Send this Application form along with all the document required for PNB manager Post and fee voucher on the address given below. Take Print out of application form and fee Voucher for interview use. Conclusion : PNB has released notification for 45 Manager Vacancy. Interested candidate can check eligibility criteria ,education details etc from above. Eligible applicant can apply for Punjab National Bank Recruitment 2017 before last date 01.05.2017.